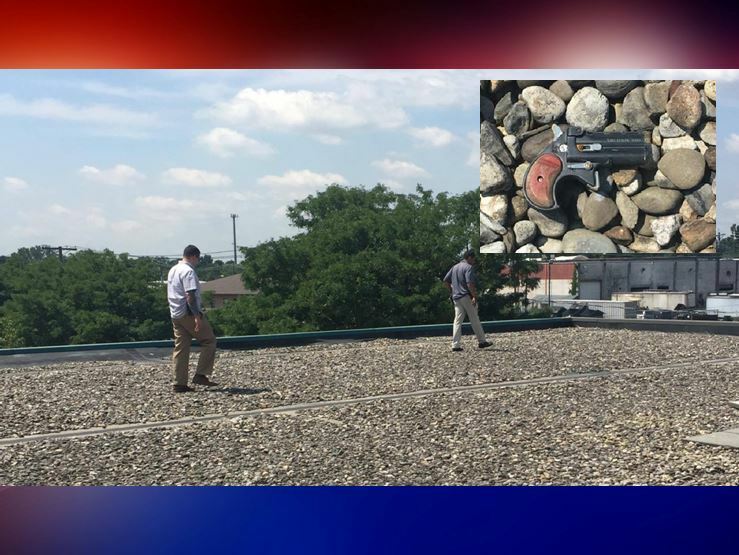 Passaic, New Jersey — A New Jersey man called police on Tuesday after he found a gun on the roof of a business. The incident occurred at approximately 11:16 a.m.
Mark DeMeola, a field supervisor for Delco Air, Sayerville, NJ, was servicing the HVAC systems at Passaic Plaza, located at 122-148 8th Street, Passaic, NJ, when he saw something shiny approximately two feet from his tool bag. DeMeola said that after he took a closer look at the object he realized it was a small handgun. At 11:17 a.m. DeMeola notified the Passaic Police Department. According to reports, police arrived on the scene within minutes. There had been heavy police presence in the area for most of the morning due to the fact that gunshots had been reported at 10:45 a.m.
Police said that the Derringer-type handgun will be processed in order to determine if it had been used in a crime. DeMeola stated that police were very thankful he called and reported the gun.